at 120 3rd Ave. in Brooklyn. have been picked for the project. Yesterday brought the news that two wealthy real estate companies that were donors to New York mayor Bill de Blasio's campaign last year, where he was re-elected to his second four-year term in a landslide, received New York City approval to build luxury housing on land belonging to the underfunded New York City Housing Authority (NYCHA). The numerous housing projects currently run by NYCHA continue to be plagued by a host of problems, but with neither the city nor state, let alone the federal government able to find or raise funding, de Blasio has turned to private entities as a way of purportedly raising support for NYCHA's existing housing stock. According to The New York Daily News, the new housing, to be built by developers the Arker Companies and Two Trees, is supposed to include 500--or half of its total--"half-market rate" apartments, which in practical terms means that in addition to the luxury rentals, the landlords will be able to get $3,900 (or $46,8000/year) for two-bed apartments, or half-market rate, on public land. NYCHA will lease the land, for 99 years, in return for payments to address its extensive low-income housing problems. The Daily News points out that this is the second such sweet deal involving a de Blasio donor. In recent years, I've noted often harsh dismissals of labeling of actions like the developers' deal as neoliberalism, but this strikes me as a textbook example of it. Instead of seeking and finding government funding, via taxes, fees, etc. 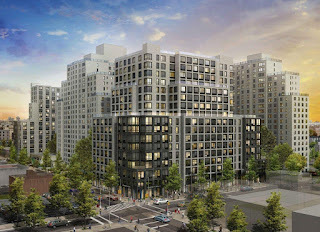 to support a public housing organization, the government is turning to private entities, which will benefit its lease of government subsidized, lower-cost land, to support private businesses, with some peanuts thrown back to the government in return. This is about as far from the "Sandinista" tag, with which opponents associated Blasio during his first run in 2013, as you can get. Two de Blasio donors have said they raised money for the mayor to gain access to City Hall. De Blasio disputes claims City Hall intervened on behalf of donor Restaurateur Harendra Singh pleaded guilty to conspiring to bribe de Blasio, stating that he gave to get favorable treatment on back rent he owed for his restaurant on city-owned land. Developer Jonah Rechnitz said he spelled out to a top de Blasio aide that he was giving money to gain access. After Rechnitz paid a fine over an illegal hotel he owned, the city stopped responding to another year’s worth of complaints about the place. The Manhattan US Attorney chose not to press pay-to-play charges against de Blasio, however. Nevertheless, according to the paper, "Prosecutor Joon Kim...made a point of stating that his investigation had determined that the mayor had intervened or directed subordinates to intervene on behalf of donors." Here's a comic I drew around the time that de Blasio was campaigning five years ago. 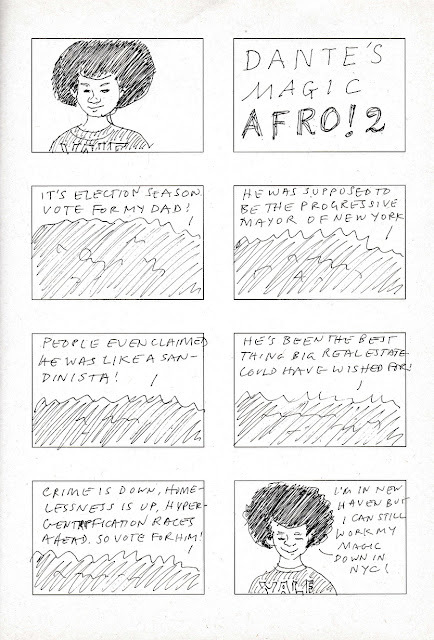 I often joked with C about how de Blasio's teenage son Dante's afro seemed to be a talisman, working its magic on voters (and de Blasio himself), and then played with it a bit in the frames below. It is the "afro," not Dante, who's speaking. HE'LL ADDRESS INEQUALTY & POVERTY! HE'LL DO SOMETHING ABOUT STOP & FRISK! HE'LL IMPROVE SCHOOLS & RAISE TAXES ON THE RICH! HE IS THE ONLY PROGRESSIVE WHO CAN WIN! & HE'LL HAVE MY SPECIAL POWER TO GUIDE HIM! More recently, during the lead-up to the 2017 mayor's race, I revisited my Magic Afro drawing. 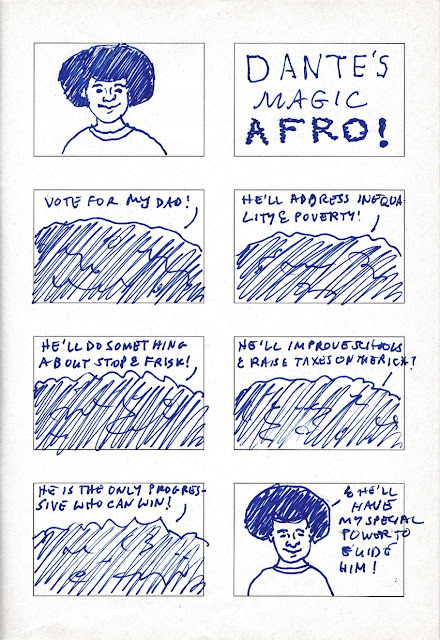 At one point the younger de Blasio, now a student at Yale University, had shaved his afro off, but as the recent campaign picked up, and during recent appearances with his father, Dante has sported that spectacular afro again. Unfortunately, it doesn't seem to have any magic to work against neoliberalism, the real estate industry, inequality, homelessness, or any of the other ills plaguing New York City. But hey, Bill de Blasio has another four years to figure it out, no? IT'S ELECTION SEASON. VOTE FOR MY DAD! PEOPLE EVEN CLAIMED HE WAS LIKE A SANDINISTA! HE'S BEEN THE BEST THING BIG REAL ESTATE COULD HAVE HOPED FOR! 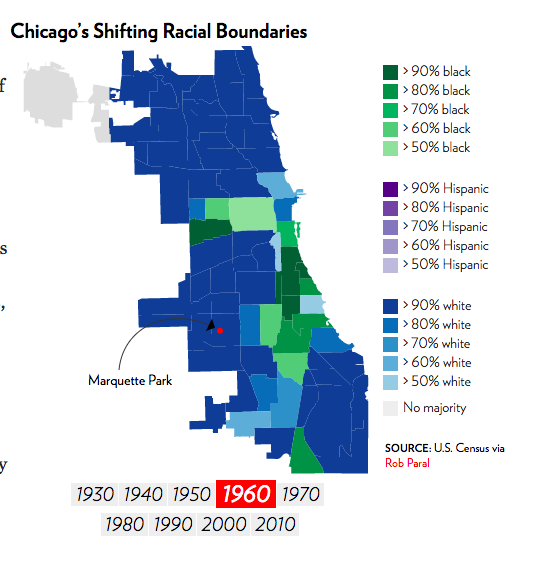 CRIME IS DOWN, HOMELESSNESS IS UP, HYPERGENTRIFICATION RACES AHEAD. SO VOTE FOR HIM! I'M IN NEW HAVEN BUT I CAN STILL WORK MY MAGIC DOWN IN NYC! 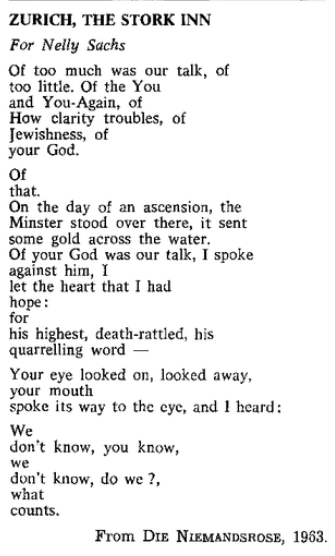 In honor of Holocaust Remembrance Day, which is today, and of the millions of voices silenced by that horrific period in history, I thought I most post poems by two poets who lived through the Shoah and wrote about it in their work. 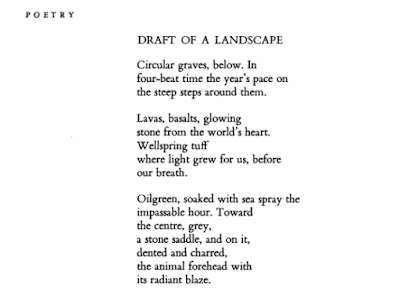 The first poem is by Nelly Sachs (1891-1970), the German-Swedish poet who escaped with her elderly mother from Germany for Sweden just before the Nazi regime planned send her to a concentration camp, and who would later receive the 1966 Nobel Prize in Literature for her work, which, as she noted, like she herself, "represent[ed] the tragedy of the Jewish people." One might also say that Sachs' poetry represents survival and witness in the face of unspeakable horror, and beauty and memory in response to racist, anti-Semitic and fascist attempts at cultural and human erasure. 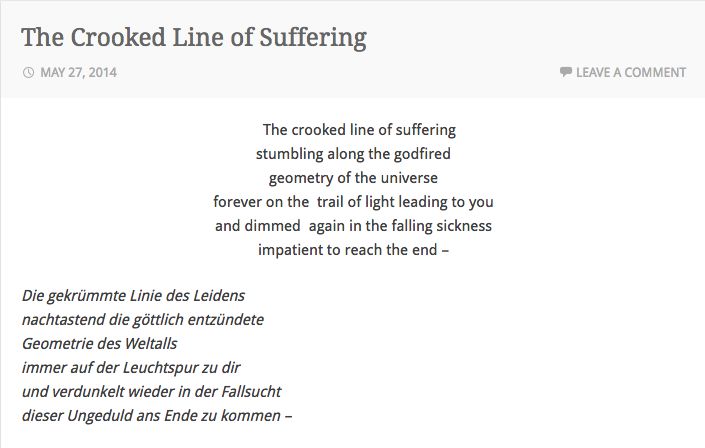 Second, I selected a poem by Paul Celan (1920-1970), one of the truly original and transformative poets writing in German, who was born in Bukovina, a region of Romania that had been part of the Austro-Hungarian Empire, and studied there and in France. Once Germany conquered Romania from the Soviets, who had seized it earlier in World War II, the occupying German forces forced his and family first into a ghetto, and then, the complicit governor of Bukovina had the Jewish residents deported to a camp, where his parents died. Celan worked in a labor camp until the Soviets liberated it in 1944. Much of his poetry, whether overtly or not, concerns the fate of the Jewish people, and interrogates (the German) language (itself). And lastly, a second poem by Celan, dedicated to Sachs, in which he speaks of their culturally and spiritually shared, though materially different experiences, in the Shoah. 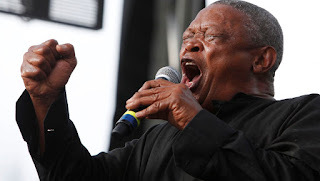 This past week brought a number of homegoings, taking from us the South African musician and activist Hugh Masekela (April 4, 1939 - January 23, 2017), a trumpeter of impressive talent, and a freedom fighter against apartheid and for full equality for Black and brown South Africans. A native of KwaGuqa Township, Witibank, Masekela began his musical career at age 14, after seeing Kirk Douglas in the Hollywood film Young Man with a Horn, and his first trumpet was a gift from Louis Armstrong, via an anti-apartheid Anglican archbishop, Trevor Huddleston. Masekela would go on to an internationally renowned career, traveling the continent and globe and playing with many of the most important jazz, pop and world-music musicians of his generations, but he never ceased agitating for his people's freedom. Throughout his oeuvre are numerous pieces that address the toxins of apartheid, racism, slavery, social, political and economic inequality, poverty, and other ills. After the 1960 Sharpeville Massacre, in which South African authorities killed 69 protesters in cold blood, Masekela went into exile, and settling in New York, where he befriended US musicians and activists, and was able to study at the Manhattan School of Music, graduating in 1964, and briefly marrying the marvelous singer Miriam Makeba shortly thereafter. Among Masekela's musical achievements were the chart-topping 1968 instrumental song "Grazing in the Grass," and his star turn with the pop R&B/jazz group The 5th Dimension, on their unforgettable hit "Up, Up and Away," in 1967. He also recorded with musicians ranging from Paul Simon to Abdullah Ibrahim to Kalahari, making a special point to engage other African and Black Diasporic, musicians, including Fela Kuti and Jorge Ben, and musical forms in his work. Throughout, he enriched the century-long traditions of jazz music. Masekela founded the Botswana International Music School (BIMS) in 1985, an institution that continues, in different form but which still brings together young and established musicians from across Africa. May he keep blowing his horn and creating beauty wherever he is now, and may we keep listening. In tribute to him, here are a few clips from YouTube. Enjoy! Hugh Masekela, "Grazing In The Grass"
Hugh Masekela, "Afro Beat Blues"
Hugh Masekela, "Blues for Huey"
Hugh Masekela, "Bring Him Back Home (Nelson Mandela)"
Let me start my note about Ursula K. Le Guin (1929-2018) by pointing out that I always write her name as "Ursula LeGuin," closing that Breton gap between "Le" and "Guin." As it turns out, that was the original spelling of her husband Charles' name, but when they married in France, when both were in graduate school, a clerk urged Mr. Le Guin to use the linguistically correct form. This is neither here nor there, really, except that Ursula Le Guin was very attentive to naming, and more specifically, to language and its power, using and probing it to explore alternatives to the oppressive structures that defined our real world in her visionary fiction career, which spanned half a century, and which left a deep and lasting mark on literature. The Lathe of Heaven is a powerful example of how her work was less interested in technology, and more engaged with profound philosophical, sociological, anthropological, and, like much realist fiction, psychological questions. I think it once saw it called "soft science fiction," though there is nothing lesser about how she and others explored alternate ways of imagining our world, or alternative and parallel ones they had created from their imaginations. The Lathe of Heaven was a standalone work, though, and not part of her well known Earthsea and Hainish cycle series, for which she is best known. The five Earthsea books, commencing with A Wizard of Earthsea (1968), depict an archipelagic world in which magic plays a key role, and whose characters tend, as I learned with surprise upon reading A Wizard, brown-skinned. The Hainish novels, exemplified by The Left Hand of Darkness (1969), tackle social, political and cultural questions head on; in this novel, a visitor from one planet ventures to another, where he encounters a very different cultural context, including ambisexual characters, which unsettles his initial attempts to understand and connect with them. Social, political and cultural questions run throughout all her work, but Le Guin highlights them in these novel such that it would be hard to walk away from them not somewhat transformed by the questions she raises and allows the texts, and her readers, to mull over. If there were ever a set of works ripe for serialization on TV, and a more opportune time than our current moment of social and political crisis, I could hardly name them. So perhaps some director and production companies will take a hint, negotiate with heirs, and, once greenlighted, start filming. 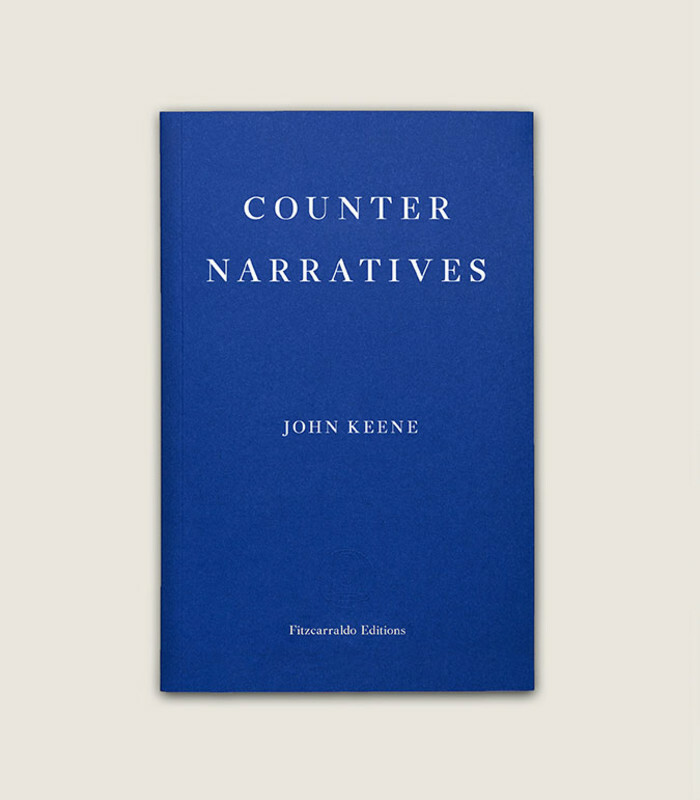 We who live by writing and publishing want and should demand our fair share of the proceeds; but the name of our beautiful reward isn’t profit. Its name is freedom. 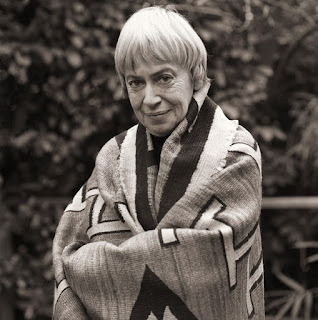 Though Le Guin is no longer among the writing, the conceptual power, assured craft and vivid world-making of Le Guin's art, in the fullest senses of that term, should ensure readers return to it. I know I plan to, beginning with the Earthsea books. May she rest in peace. 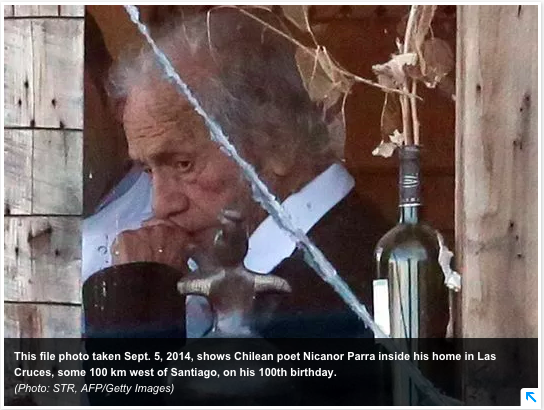 Regular J's Theater readers know that I am a fan of Nicanor Parra's (1914-2018), and have featured his work and posts about him several times over the years. 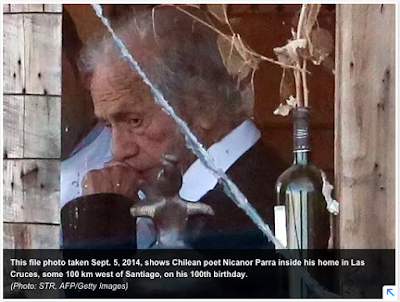 Back in 2012, I posted his anti-poem "Young Poets," and one year prior, I wrote about his receipt, tardy though it was, of the Cervantes Prize, one of the highest honors for a Spanish-language writer. The very idea of the anti-poem, which is to say, a literary work that in many ways eschews what are thought to be the fundamentals of poetry while nevertheless employing poetry's unique resources, especially drawn from everyday speech and the vernacular, have long fascinated me, as has Parra's wittiness and humor, and his willingness to incorporate non-lyric elements in poetry, including images, drawings and charts. I also have regularly lamented that he was not awarded the Nobel Prize (see the first link above), a prospect extremely unlikely at this point, now that he has passed at the age of 103, but then any number of major authors have been and will be passed over, including John Ashbery, who died late last year, and Ursula Le Guin, who I plan to memorialize below. Neither inventiveness nor longevity was enough to move Parra onto the laureate plane, but not winning the Nobel Prize is not the end of the world (and winning it, as a certain musician did a few years ago, is no guarantee of great poetry), and Parra will remain a vital poet for anyone who is interested in poems--or anti-poems--that make the most out of the simplest means. Here are a few Parra poems I posted on Twitter that I wanted to share here. Note the first, partiularly cheeky if you ask me. 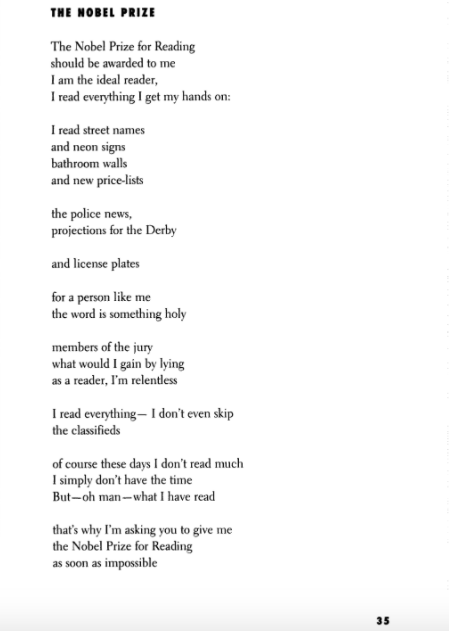 (The first two poems are from, Antipoems: How to Look Better & Feel Great, antitranslation by Liz Werner (@NewDirections, 2004), and the second from After Dinner Declarations, translated & w/ an intro by Dave Oliphant (Host Publications, 2009). Consider drafting an anti-poem, and enjoy. Today, on Rev. 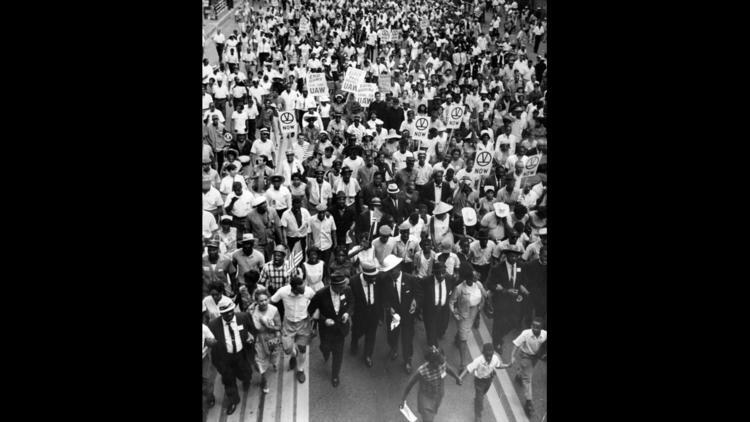 Dr. Martin Luther King Jr. Day, I thought I would post a short passage from one of Rev. 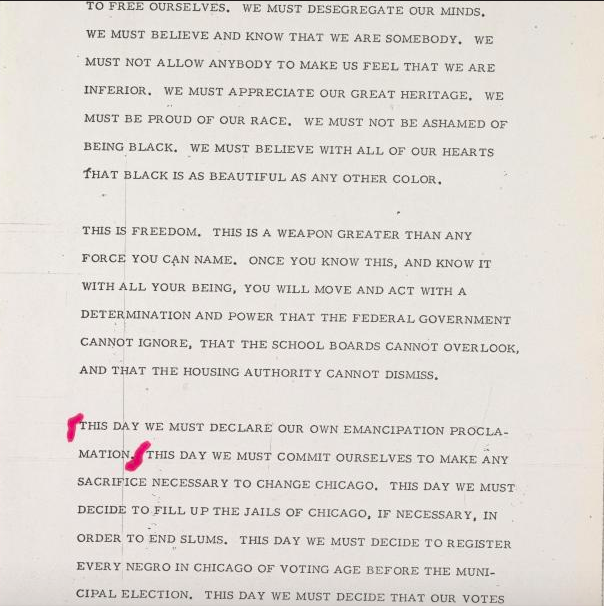 King's most controversial speeches, which was the centerpiece of one of his most difficult campaigns, the Chicago Freedom Movement, in 1966. 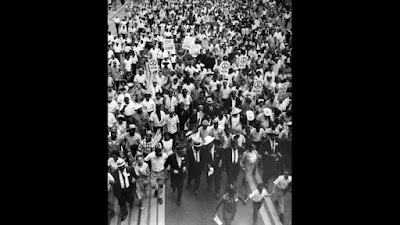 Not only did Dr. King remark on the virulence of the racism and white resistance he encountered, but at the time of his death three years later, it probably appeared to many people that the campaign had failed. 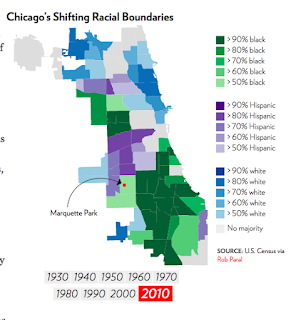 Dr. and Mrs. Coretta Scott King had visited Chicago and some of its suburban towns several times over the years, and in 1966 they even moved to Chicago to demonstrate the disparate conditions Black people were enduring under the tenure of Mayor Richard J. Daley. As part of the Chicago Freedom Movement, Dr. King urged Black voters to come out in droves and challenge the Democratic machine, controlled by Richard J. Daley. He decried white supremacy and Northern racism. 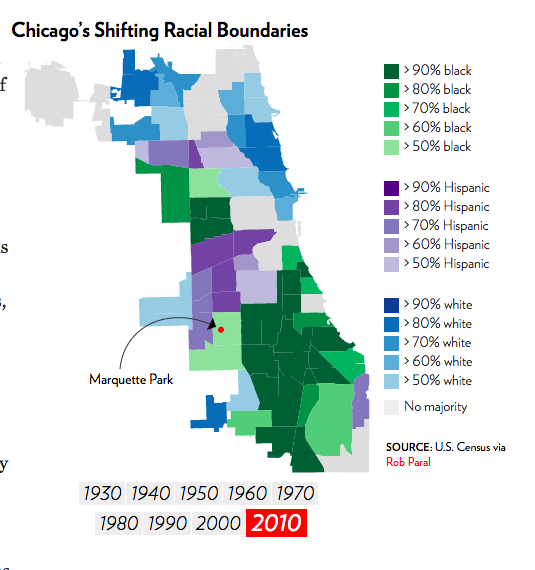 He urged challenges to the Chicago power structure, better schools, housing, representation in government, everything. He also espoused Black pride and support for Black businesses, though he also criticized the nascent Black Power movement. 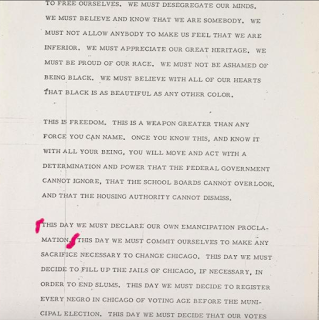 Much like his namesake, Dr. King even presented his demands in person at City Hall, first by taping them to one of the outer doors, and then the following day in person to Mayor Daley, who was enraged by the campaign. Chicago Tribune: "50 Years Ago Today: MLK Jr.'s speech at Soldier's Field, march to City Hall with demands for Daley"
Chicago Tribune: "Martin Luther King in Chicago"
WGNTV: "Web Extras: Martin Luther King and the 1966 Chicago Freedom Movement"
Chicago Magazine: "The Longest March"
Recently I chatted with writer Mark Sussman for a short feature that has now posted at The Creative Independent, under the title "Writing from the Inside Out." It was such an honor to be invited to participate on the site, which aims to be "a growing resource of emotional and practical guidance for creative people," and features short interviews with an impressive array of creative people across the artistic spectrum, including Hilton Als, Björk, Taja Cheek, Scott Esposito, Shepard Fairey, Diamanda Galás, Roxane Gay, Nikki Giovanni, Jonathan Gonzalez, Rickie Lee Jones, Isaac Julien, Joseph Legaspi, Carmen Maria Machado, Aparna Nancherla, Morgan Parker, Brontez Parnell, Paul Sepuya, Prageeta Sharma, Danez Smith, Michael Stipe, and many others. The site's first conversation, after its launch note, was with the incomparable Eileen Miles, and the one that posted right before mine engaged Mrs. Smith, a "philanthropist, tone poet, and the world's most unlikely guitar hero." My conversation with Mark, which took place via Skype, even spilled over the alotted time limit, I think, so he could include only a few key portions of it appear on the site. As always I tried not to cover ground that I had in other public conversations, though some of that is unavoidable. One other aspect of the exchange was the light editing; the transcript is very casual, and close to how it was recorded, so what we said is what the readers get. Mark also shared a few of the excerpts that didn't make to the TCI website on his personal blog. One of my teachers once said the text in the original language stays the same, but we always need updated translations. And we’re always getting new translations of old texts. Why is that? Because I think, with each new translation, you bring a different perspective to it. Often, of course, what happens with new translations is they re-situate the work for a new context. I think of a writer that’s so beloved and has been translated by different people in so many different ways, like Rainer Rilke. Two people whose translations of Rilke I think are really great are William Gass and Steven Mitchell. I believe Gass’s precedes Mitchell’s. You know, William Gass was an extraordinary writer in English. But he was also a profoundly philosophical writer. And he, of course, spoke German. He had training in German. So his translations have a certain kind of philosophical sensibility, like he’s capturing something in Rilke, I think, that most translators probably wouldn’t. With Steven Mitchell, you have a translator who has an extraordinary ear [and] an extraordinary eye and his desire is to give you a Rilke that, on the one hand is as approximate as possible, but also doesn’t lose any of Rilke’s strangeness. 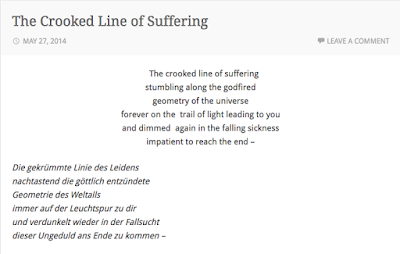 If you go back and forth between those two translations, and of course, many lesser translations, you really start to get a sense, if you don’t speak German, of what Rilke might be like. And that, I think, can be really great. But at times updated translations can just be terrible. 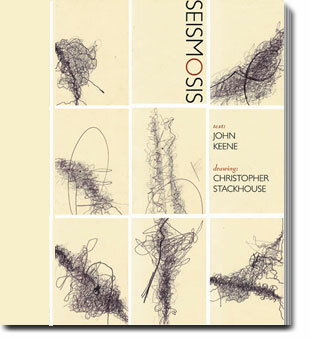 If you’re translating the work of a poet, particularly a poet who is also an extraordinary prose writer, you want to retain that poetry, so you want to err on the side of the lyrical that might not be as exact, as opposed to the exact that is not so lyrical, because [otherwise] you lose what is essential to that writer. Do read the rest of both interviews if you can. 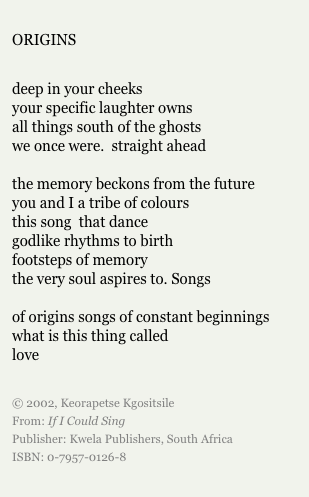 With the new year comes saddening news, and so it was with the emails, Tweets and posts announcing the passing in Johannesburg of Keorapetse "Willie" Kgositsile (September 19, 1938 - January 3, 2018). Kgositsile, whom I had the immense pleasure of meeting when he toured the US back in 2012, came to Evanston under the auspices of Northwestern University's Poetry and Poetics Colloquium, performing his work with his longtime friend, musician Douglas Ewart. At the time he was the Poet Laureate of South Africa. His visit was a special event, and I felt extraordinarily fortunate to have the opportunity finally to hear him read his work in person. Not only is Kgositsile one of the major poets of his country and of contemporary African literature, but during the 1960s and part of the 1970s was actively involved in the creation of the Black Art literary, cultural and political movement, and as such represents and embodies a link between the political and cultural liberation movements of Africa and the US and the Americas. The famous proto-rap group, The Last Poets, took their name from one of his poems; others who acclaimed his work included established figures like Gwendolyn Brooks, and peers like Amiri Baraka. He had lived in exile in the US from 1962 until 1975, and is acclaimed in part as one of the first African authors to connect in his work 20th century African and African American poetries. He also was actively involved in Harlem's Black Arts Theater, formulating a revolutionary theory of theater that sought to transform Black artists' underlying assumptions about their work and its effects on Black people. To put it another way, he was a linchpin in terms of thinking through Diasporic artistic practices during the Civil Rights, Black Arts and anti-apartheid eras. Kgositsile returned to South Africa, after a number of years living in other African countries, in 1990, and was active from that point forward in artistic and cultural activities. The South Africa he returned to had changed dramatically and improved considerably in some ways from the country he left, but the ongoing social, political and economic inequities remained, and he did not hesitate to criticize them in his work. 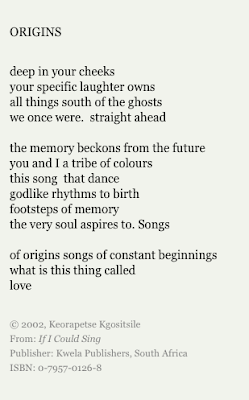 In 2009, he published Beyond Words: South African Poetics (Flipped Eye Publishing), with fellow South African poets Don Mattera, Lebo Mashile and Phillippa Yaa de Villiers. 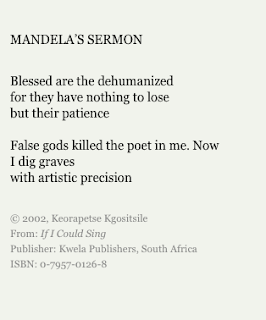 Above and below are two poems by Kgositsile, from his 2002 collection If I Could Sing (Kwela Publishers), via Poetry International Web, that convey his later style, questioning approach and committed spirit. 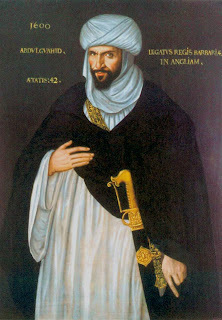 Also below are a few more links with much more information about him. Read his work, and remember him, and may he rest in poetry. Huffington Post Black Voices: "Poet and activist Keorapetse Kgositsile, Who Celebrated Black Arts, Dead at 79"
News24: "National Poet Laureate and political activist dead at 79"
XXL: "Earl Sweatshirt's Father, Famed Poet Keorapetse Kgositsile, Dies at 79"
Pitchfork: "Earl Sweatshirt's Father, Poet Keorapetse Kgositsile, Dead at 79"
June 12, 1966. The Jewish Museum, NY. What led me initially to write about McShine? I had previously come across a mention of his striking name online, and assumed that he was one of many well-placed, powerful, clearly brilliant and far-thinking, possibly British white curators of his generation, but an image search brought back the face of a Black man, and so I had to dig a bit more and write something up here, though I am hardly an art historian or scholar in the field. 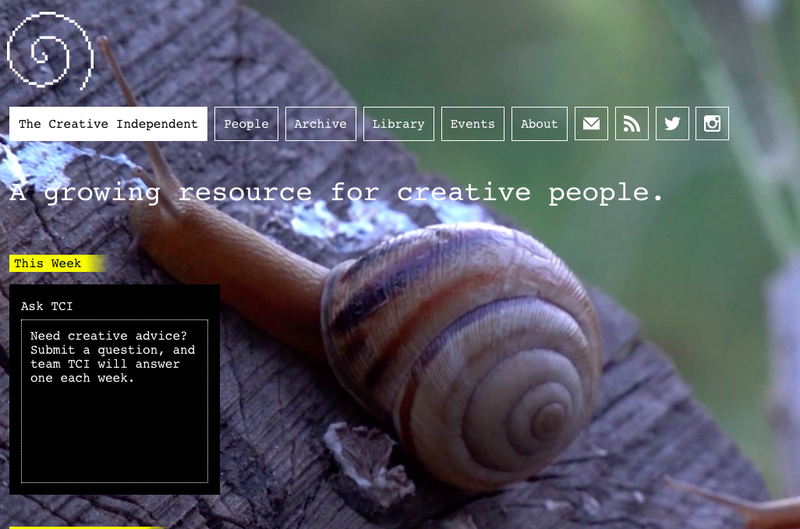 As it turns out, there are numerous mentions of McShine, as the scholar and critic Dorothy Wang shared with me, in MoMA's online interviews with its former curators, and Sarah Kleinman, who was writing her dissertation back in 2011 and wrote me via my comments section, may have unearthed other nuggets about him. As she pointed out, though, at that time biographical details about him online, at least seven years ago, were scarce. 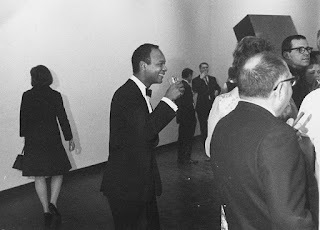 At ArtNet, Julia Halpern, in a moving memorial writeup, asserts that McShine might have been "the first curator of color to work at a major American museum," and quotes Sarah Kleinman making a key point about McShine: "In the context of 1950s and 1960s New York City, where curators and artists of color faced blatant discrimination, McShine’s work is even more significant and groundbreaking, opening conversations about the intersections of race, identity, and power." A second ArtNet piece by Halperin collects lovely tributes to him, from MoMA president emerita Agnes Gund and artist Billy Sullivan to curator Anne Umland. His New York Times obituary does give considerably more information, including the fact that he did stage solo shows of at least one Black, Sam Gilliam, and one Latino artist, Rafael Ferrer, the first through the pioneer experimental exhibition program he founded at MoMA in 1971, and included other artists of color, including Fred Wilson, in his large-scale exhibitions. The Times review also points out, though, that his 1984 show, "An International Survey of Recent Painting and Sculpture" included only 13 women artists out of 165 total (ArtNet lists 169! ), which spurred a group of women to found the now legendary Guerrilla Girls. In its tribute to McShine, the Jewish Museum also notes that in his landmark 1966 "Primary Structures: Younger American and British Sculptors," he included several women, including Judy Chicago (then Judy Gerowitz) and Ann Truitt. 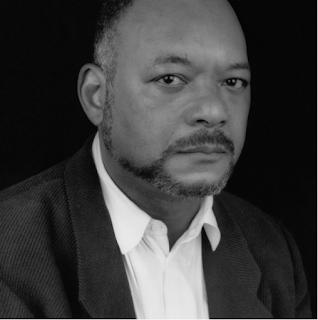 He received the CSS Bard Award for Curatorial Excellence in 2003, and served on the boards of several arts organizations. He retired from MoMA in 2008, and passed away just days ago. He was 82. Kynaston’s sensitivity was deep and his opinions were strong. At the museum, he championed the poetic, the unexpected and the individual as opposed to the academic, the predictable and the institutional. 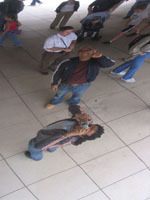 His lasting contribution to the life of the museum, and to the lives of countless artists and colleagues, is immense. 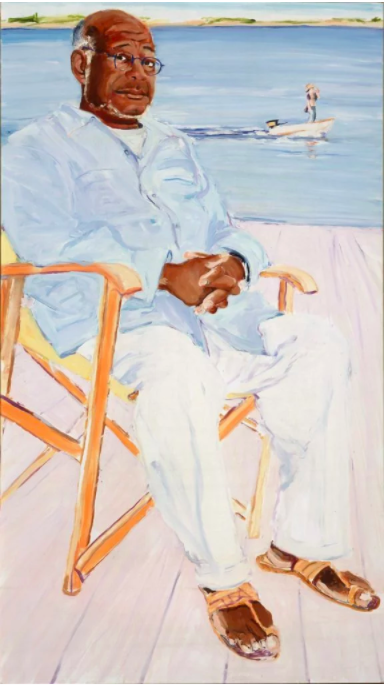 PS: In my original post I included Alex Katz's painting of McShine, and as part of this post I have included Robert Mapplethorpe's beautiful portrait of him, which accompanied the Times obituary, and Billy Sullivan's portrait, which was part of the ArtNet tributes. I now wonder whether there might be other images created or taken of him over the years. Something for someone else to suss out, I think.